Lawmakers are asking the Interior Department’s watchdog to look into whether references to the human impact on climate change were edited out of a government report on the impact of sea level rise on national parks. Reveal News, a nonprofit investigative journalism organization, reported last week that National Park Service officials deleted every mention of the human influence on climate change from 18 draft versions of the report. For example, terms like “anthropogenic” and references to “human activities” causing climate change were reportedly deleted or crossed out. The National Park Service report is to provide more information on how parks could be impacted by rising sea levels and to help officials and the public better understand how to protect those resources. In response to questions about the Reveal News story, a spokesman for the National Park Service said the report will summarize three years of work on sea level rise. "The draft report has undergone several rounds of internal and external scientific peer review and is not yet complete. The National Park Service will provide more information on the report when it is final,” the spokesman said in an email to ABC News. Five senators wrote the to Interior Department's inspector general on Monday calling for an investigation into whether the report was altered to remove references to the human impact of climate change. They wrote that the report "raises serious concerns with respect to how the department is — or is not — applying its scientific integrity policies to publicly released scientific reports." The Interior Department's integrity policy establishes a specific process for handling scientific information to ensure that findings are credible and "free of political influence," according to its website. The letter was signed by Sens. Marie Hirono, D-Hawaii, Catherine Cortez Masto, D-Nev., Tammy Duckworth, D-Ill., Bernie Sanders, I-Vt., and Ron Wyden, D-Ore. Interior Secretary Ryan Zinke testifies at a Senate Energy and Natural Resources Committee hearing on Capitol Hill in Washington, March 13, 2018. Hirono tweeted about these questions last week. 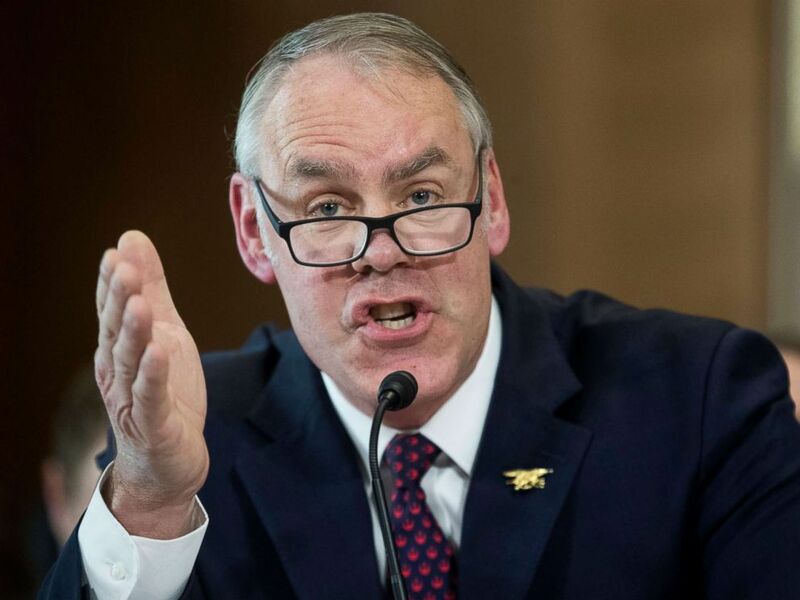 She asked Secretary of the Interior Ryan Zinke in a hearing last month if the department removed references to climate change, but he strongly denied it, saying, "I challenge you to find a document that we’ve actually changed on a report." Last month, I asked Sec. Zinke about reports that his department removed references to climate change from documents. The House Natural Resources Committee’s ranking member, Rep. Raul Grijalva, D-Ariz., and four other Democrats have also asked the department’s inspector general to look into whether any of those changes violate the agency’s scientific integrity policy, which is in place to ensure that scientific reports are impartial and not politically influenced. 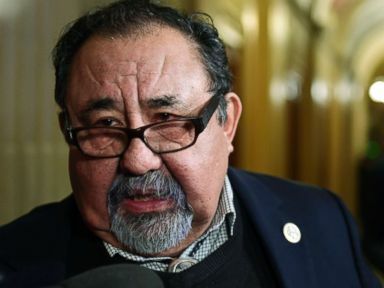 Grijalva previously asked Zinke about reports that he asked to see a U.S. Geological Survey report before it was published, a request that led two scientists to resign. Zinke denied altering any reports and said he never would. A spokeswoman for the inspector general said the office is reviewing the requests. Zinke is scheduled to testify on the department's budget in front of a House Appropriations subcommittee on Wednesday.